When I stretch, I stretch in such a way that my awareness moves, and a gate of awareness finally opens. B. K. S. Iyengar or Bellur Krishnamachar Sundararaja Iyengar ( December 14, 1918 – August 20, 2014), was the founder of the style of yoga known as "Iyengar Yoga" and was considered one of the foremost yoga teachers in the world. He has written many books on yoga practice and philosophy including "Light on Yoga", "Light on Pranayama", and "Light on the Yoga Sutras of Patanjali". I set off in yoga 70 years ago when ridicule, rejection and outright condemnation were the lot of a seeker through yoga even in its native land of India. Indeed, if I had become a sadhu, a mendicant holy man, wandering the great trunk roads of British India, begging bowl in hand, I would have met with less derision and won more respect. I can remain thoughtfully thoughtless. It is not an empty mind. In: Ellen Barry "B. K. S. Iyengar, Who Helped Bring Yoga to the West, Dies at 95"
Yoga, an ancient but perfect science, deals with the evolution of humanity. This evolution includes all aspects of one's being, from bodily health to self-realization. Yoga means union -- the union of body with consciousness and consciousness with the soul. Yoga cultivates the ways of maintaining a balanced attitude in day-to-day life and endows skill in the performance of one's actions. When I still find some parts of my body that I have not found before, I tell myself, yes I am progressing scientifically... I don't stretch my body as if it is an object. I do yoga from the self towards the body, not the other way around. In: BBC News "India yoga guru BKS Iyengar dies"
The art of teaching is also to know when to stop. It is good when people want to be better, physically, morally, spiritually, intellectually. But a fashion? No! Yoga is a painful art. It’s not like dance or music, where the person watching gets pleasure. Only the person doing it finds joy. It has nothing to do with externals. Because I want to make a good death. Asanas keep the body healthy and strong and in harmony with nature. You do not need to seek freedom in some distant land, for it exists within your own body, heart, mind, and soul. Illuminated emancipation, freedom, unalloyed and untainted bliss await you, but you must choose to embark on the Inward Journey to discover it. My poor health was matched, as it often is when one is sick, by my poor mood. A deep melancholy often overtook me, and at times I asked myself whether life was worth the trouble of living. Physical health is not a commodity to be bargained for. Nor can it be swallowed in the form of drugs and pills — it has to be earned through sweat. It is something that we must build up. Yoga goes beyond the physical motions. The practice of yogasana for the sake of health, to keep fit, or to maintain flexibility is the external practice of yoga. While this is a legitimate place to begin, it is not the end... Even in simple asanas, one is experiencing the three levels of quest: the external quest, which brings firmness of the body; the internal quest, which brings steadiness of intelligence; and the innermost quest, which brings benevolence of spirit. Often, we hear people saying they remain active and light when they do just a little bit of asana practice. When a raw beginner experiences this state of well-being, it is not merely the external or anatomical effects of yoga. It is also about the internal physiological and psychological effects of the practice. It took me decades to appreciate the depth and true value of Yoga. Sacred texts supported my discoveries, but it was not that signposted the way. What I learned through yoga, I found out through yoga. I am not however, a “ self made man”. I am only what seventy-two years of devoted yoga sadhana has created out of me. Any contribution I have made to the world has been the fruit of my sadhana. Yoga ferried me across the great river from the bank of ignorance to the shore of knowledge and wisdom. 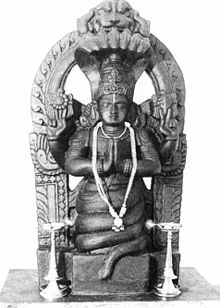 Patanjali is considered the father of the yoga. On reality as far as we know, he was a yogi and polymath living around the fifth century BC, India, who collated and elaborated knowledge of the yogis’ life and practices. He wrote the Yoga Sutras, lierally a thread of aphorisms about yoga, consciousness and the human condition. Patanjali also explained the relationship between the natural world and the innermost and transcendent soul....What Patanjali said applies to me and will apply to you. Yoga transformed my life from a parasitic one to a life of purpose. Later yoga inspired me to partake in the joy and nobility of life, which I carried to many thousands of people without consideration of religion, caste, gender, or nationality. Yoga was my Destiny, and for the past seventy years, yoga has been my life, a life fused with the practice, philosophy, and teaching of the art of yoga. Like all destinies, like all great adventures, I have gone to places I have imagined before I set out. For me It has been a journey of discovery. As animals, we walk the earth. As bearers of divine essence, we are among the stars. As human beings, we are caught in the middle, seeking to reconcile the paradox of how to make our way upon earth while striving for something more permanent and more profound. Yoga, as it was understood by its sages, is designed to satisfy all the human needs in a comprehensive, seamless whole. Its goal is nothing less than to attain the integrity of oneness –oneness with ourselves and as a consequence oneness with all that lies beyond ourselves. We become the harmonious microcosm in the universal microcosm. Oneness, what I call integration, is the foundation for wholeness, inner peace, and ultimate freedom. Life itself seeks fulfillment as plants seek sunlight. The Universe did not create Life in the hope that the failure of the majority would underscore the success of the few. Spirtiuality atleast, we live in a democracy, an equal opportunity society. Our flawed mechanisms of perception and thought are not a cause for grief, but an opportunity to evolve, for an internal evolution of consciousness that will also make possible, in a sustainable form, our aspirations toward what we call individual success and global progress. When I set off in yoga, I had no understanding of the greater glory of yoga. I too was seeking its physical benefits, and it was these that saved my life. When I say that yoga saved my life, I am not exaggerating. It was yoga that gave me a new birth with health from illness and firmness from infirmity. As we explore the soul, it is important to remember that this exploration will take place within nature (the body), for that is where and what we are. We are a little piece of continual change, looking at an infinite quantity of continual change. Anything physical is always changing, therefore, its reality is not constant, not eternal. Nature is in this sense like an actor who has only different roles. The compass is ourselves. So we are able to infer that there is a universal reality in ourselves that aligns us with a universal reality that is everywhere. Non-physical reality is called Parusa in Sanskrit or Universal Soul is an abiding reality. It is logical, but remains conceptual to our minds under we experience it’s realization within ourselves. The union of nature and soul removes the veil of ignorance that covers our intelligence. Demonstration of one's spiritual realization lies in none other than how one walks among and interacts with one's fellow beings. Nothing can be forced, receptivity is everything. If we become aware of its limitations and compulsions, we can transcend them. By drawing our senses of perception inward, we are able to experience the control, silence, and quietness of the mind. This ability to still and gently silence the mind is essential, not only for meditation and the inward journey but also so that the intuitive intelligence can function usefully and in a worthwhile manner in the external world. The physical body is not only a temple for our soul, but the means by which we embark on the inward journey toward the core. When we free ourselves from physical disabilities, emotional disturbances, and mental distractions, we open the gates to our soul. Health is not to be mistaken for mere existence. It is the balance of the body, mind and self... there rests the mind. If the breath scatters, the mind wanders. If mind wanders, the breath scatters. So still the breath to still the mind. Mind is the king. We think of intelligence and perception as taking place exclusively in our brains, but yoga teaches us that awareness and intelligence must permeate the body. Each part of the body literally has to engulfed by the intelligence. We must create a marriage between the awareness of the body and that of the mind. When two parties do not cooperate, there is unhappiness on both sides. The head is the seat of intelligence. The heart is the seat of emotion. Both have to work in cooperation with the body. You exist without the feeling of existence, existence has no meaning. You must purge yourself before finding faults in others. All people are born with different constitutions.Never compare with others. Each one's capacities are a function of his or her internal strength.Know your capacities and continually improve upon them. I first met him in London in the summer of 1971. That’s what we all called him then, before the name “Guruji” became fashionable. I had been learning Iyengar yoga for nearly a year, and practising every day, but when I met him that was it. I realised he was a spiritual teacher as well as a physical one. I didn’t find him intimidating. Some people did, but I found him inspiring. There’s a clip in a forthcoming film about him in which he says, “See how many students I have in spite of my wild nature?” He did have a wild nature; he was quick, and could be sharp, but I never felt it was a personal thing – it was always so you could understand better what you were doing. Silvia Prescott, in: "My teacher, Mr Iyengar: a former pupil remembers the yoga master"
He was extraordinary, a genius; there’s no doubt about it. But his teaching was not for everyone. Different students need different teachers and different teachers find different students. It’s very strange and fascinating. He has by far had the most profound impact on the global spread of yoga. "Light on Yoga" is the yoga canon of this century. It is the most detailed, systematic and precise book out there about yoga [poses and techniques]. Joseph S. Alter in: "Yoga in Modern India: The Body Between Science and Philosophy." quoted in: Stacie Stukin "10 Yogis gather around the guru"
I thought my heart was going to explode. I was just overjoyed. A guru puts you in a moment of happiness. There is no love like that. It is just electric. Stacie Stukin in: "10 Yogis gather around the guru"
In the west, where supplication to gurus is not the cultural norm, he elicits such a response from a cadre of longtime yoga practitioners. They credit him with changing their lives -- and the face of yoga in the United States. He was considered the world's greatest yoga master. He refined and perfected the technique of doing yoga poses that is most widely taught in the United States. He began life as a frail and sickly child — but at the ripe age of 87, the yoga master could still stand on his head and hold a conversation at the same time. Allison Aubrey in: "Light on Life': B.K.S. Iyengar's Yoga Insights"
In 1966, he published a landmark book explaining 216 yoga postures called "Light on Yoga" which has sold nearly 3 million copies and has been translated into 17 languages. His technique was physically challenging, unusual for Americans practicing yoga, but what truly set it apart was his therapeutic approach to the poses. He devised specific prescriptions, or sequences of poses, to help people with ailments such as backache, headaches, high blood pressure, diabetes and many more. He continued to practise - "practice is my feast", he once told a correspondent - in his old age and could still do the sirsasana - or the headstand - for half an hour until last year . He was credited with his own brand of yoga, and taught author Aldous Huxley and violinist Yehudi Menuhin, among other celebrities. One of yoga's finest teachers, he practised what he called an "art and science" for more than eight decades and ran one of India's top yoga schools in Pune. Within one minute he had me snoring happily away. But Guruji did warn me: 'Relaxation doesn't mean yoga is a soft option. It's a disciplined subject - a casual attempt only gains casual results'. His practice is characterized by long asanas, or postures, that require extraordinary will and discipline. When he was 83, he held one headstand for six minutes, swiveling his legs to the right and the left, and that when he finished, “his shoulder-length hair was awry, he seemed physically depleted,” but he wore the smile of a gleeful child. He felt satisfied. Even at the end, even a few weeks before [his death at age 95], he said, ‘I’m satisfied with what I’ve done.’ He took yoga to the world. He knew that. His first teacher was his brother-in-law, a Brahmin scholar who had set up a school of yoga at the Jaganmohan Palace, and who sometimes denied his student food if his performance was deemed inadequate. He then a teenager, was the youngest member of the Maharaja of Mysore’s entourage, and was asked to demonstrate his ability to stretch and bend his body for visiting dignitaries and guests. Menuhin, who visited India in 1952, heard of his practice and penciled him in for a five-minute meeting, and was so instantly impressed that the session went on for more than three hours. He [Iyengar] recalled, in an interview with CNN, that “the moment I adjusted him and took him, he said, I’ve never felt this sense of joy, elation." Patricia Walden, his longtime student, in an interview in 2000. He was credited with bringing the 3,000-year-old oral tradition and physical practice of yoga to the West; he promoted a system, notable for its use of props and its step-by-step approach to the “asanas” (yoga positions), which is now the most widely practised form of the discipline in the world. Menuhin became his fervent disciple, describing him as “my best violin teacher”. As well as using his new discipline on one famous occasion to conduct the opening of Beethoven’s Fifth Symphony with his feet while standing on his head, he [Menuhin] invited him to teach in Switzerland, and introduced him to his students in London, to other artists, and to royalty. He was the first to introduce simple props such as ropes, belts, wooden blocks and bolsters to enable the elderly and less fit to maintain classical postures correctly and safely. The Iyengar form of yoga is now often employed by physiotherapists treating people with spinal injuries and back problems to recover full movement. He, who was awarded the Padma Bhushan and the Padma Vibhushan, gritted his teeth to master English and exposed yoga to the West, teaching such luminaries like violin maestro Yehudi Menuhin and author Aldous Huxley. He was a phenomenal person, compassionate, sensitive, caring and broad-minded. He was instrumental in revitalizing an ancient art and taking it to an international level. He was a one-person movement...we will strive to keep his Sadhana (legacy) alive. He has achieved eternal peace. He was open to everyone even till his last breath. Geeta Iyengar, his eldest daughter. He was well known as one of the foremost yoga teachers in the world. He is credited with establishing and popularising modern yoga first in India and then across the world. He created a unique school of yoga popularly known as ‘Iyengar Yoga’ and authored several books on yoga practice and philosophy which are considered authoritative texts used by practitioners, young and old. Generations will remember him as a fine Guru, scholar and a stalwart who brought Yoga into the lives of many across the world. Great lion of Indian yoga. This page was last edited on 7 September 2015, at 05:37.